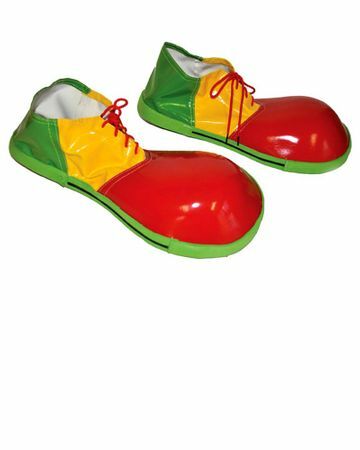 Complete your clown costume down to your toes with these classic oversize vinyl clown shoes in red, yellow and green colorblock with red laces and green rubber soles. One size fits most adults. See more options in our Clown Costumes section!